Can Dogs Eat Nectarines? Can I Give my Dogs Nectarines? Home » Dogs » Nutrition & Food » Can I Give my Dogs Nectarines?﻿ Can Dogs Eat Nectarines? I love nectarines and my dogs love anything I am eating. Can dogs eat nectarines? Is it safe to give my dogs a taste when I am eating it? A long time ago, people did not have special food for their dogs. Instead of manufactured dog food, our ancestors fed their dogs whatever was available. Left over scraps from their own meals were what our ancestors gave their working dogs. Whether it was pieces of meat or bites of fruit and vegetables, maybe some bread. Then the dogs hunted for mice, rabbits and chipmunks for themselves. Today we give our dogs manufactured dog food and premade treats along with table scraps. Many serve their dogs only human food, others only raw food and others only the most nutritious manufactured food. We worry about our dogs health and nutrition and take actions to prolong their lifespan as much as possible. It is in this context that we ask if dog can eat nectarines. 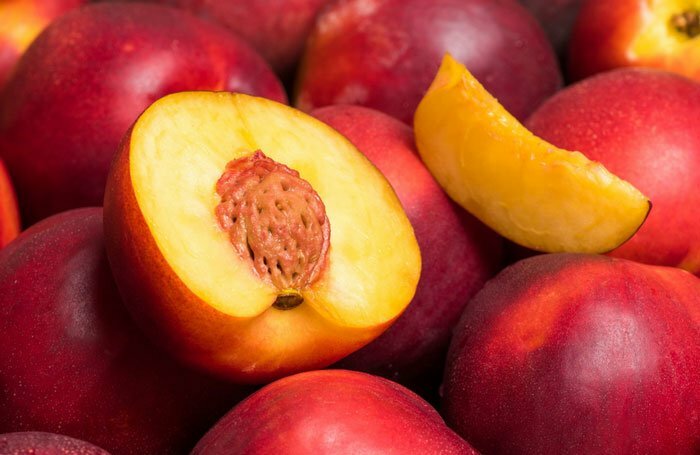 Can Nectarines Harm my Dog? Whether or not our dogs can have any kind of fruit, is a legitimate question. This is especially true in the summer when we are eating a lot of it. Sweet, juicy fruits like peaches and nectarines are a favorite of many people and our dogs want to share it. Sure, they like to eat what we do and many vegetables like carrots, potatoes and green beans are known to many people as safe for their dogs. Carrots and fresh green beans are sweet, and most dogs love them. Just as there are many raw vegetables that are good for dogs, there are also many fruits safe for dogs. The truth is that most dogs will try eating anything they come across. They are scavengers and inherit the instinct to find their own food. So, people need to know what their dogs can and can’t eat safely. Some fruits and vegetables that are off limits for dogs include: tomatoes, onions, figs, raisins and grapes. Grapes are particularly toxic for dogs. The answer to this question is YES! Dogs can eat nectarines. In fact, most of the nectarine is healthy. The Nectarine is a member of the Rosacea fruit family. In the same family are plums and peaches. Nectarines are sweet and delicious. They are obviously closer to peaches than plums. The real difference between the peach and the nectarine is in the skin and the flesh color. Most people are familiar with fuzz on the peach. Nectarines are smooth. The nectarine has either white or yellow flesh, while the peach has only peach colored. That white flesh is just a little sweeter than the yellow flesh and nectarines can be wither clingstone or freestone variety. The variety has to do with the pit and how tightly the flesh clings to the pit. The freestone obviously lets the pit come out easily while the clingstone is tight to the pit. The entire family of Rosacea fruits have minerals, vitamins and dietary fiber that are all good for your dogs. Here are some of the beneficial traits of the nectarine for your dog. This toxicity can build up in a dog’s body over time. Chocking immediately is however a much greater danger as is an intestinal blockage, if the pit get through the stomach. If you know your dog has swallowed a pit, do not leave them unsupervised. If you grow your own fruit this can be an even greater hazard if those fruit trees are in an area where your dog is unsupervised for any length of time. 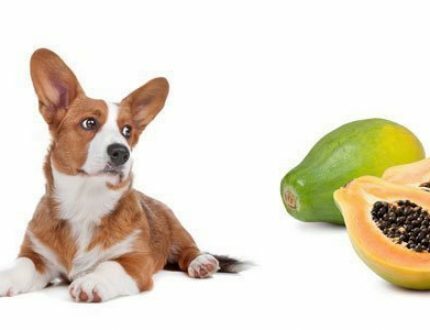 Your dog is going to eat the fruit that falls to the ground and hazards of swallowing the pit are all in play. Even more so is the danger that dog will eat the fallen fruit after it has spoiled. Decomposing fruit makes alcohol which is also very toxic for dogs. Sugar is also a problem for dogs. Sugar can have negative behavioral effects on dogs. Over time it can also cause obesity, dental issues and diabetes. Now you know dogs can eat nectarines. Now, how do you feed it to them? Never give them a whole nectarine. Everything in moderation is always a good guide for life but, in this case it is essential. Even though, the nectarine is healthy for your dog, too much of a good thing could make them sick. Cut the nectarine into small pieces for a snack or treat. The first time you share this with your pup, only give one piece until you know how it will respond to it. 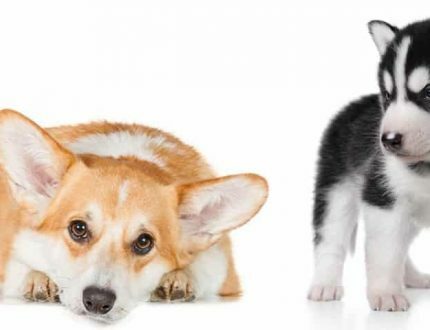 Even though it is good for dog, it might be allergic or get a slight upset stomach. Once you know he can handle it, how much you give depends on the size of your dog. Anywhere from 1-2 pieces for a small dog or 4-5 pieces for a larger dog. Too much can cause stomach upset or diarrhea. Too much at one time could cause a “sugar high” and behavioral as well as health issues. Can dogs eat nectarines? 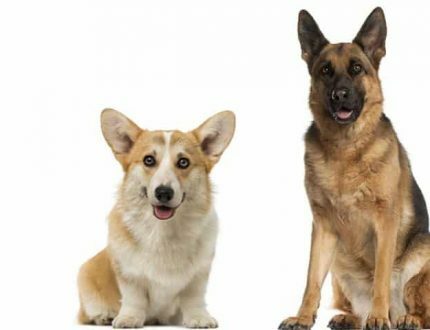 Dogs are carnivores and need a lot of protein. They do not need the fruit and vegetables to be healthy. So, they don’t need a lot of any kind of fruit. An occasional treat of nectarine bites would be great. You can even freeze them and use them as a cooling off treat in the summer. Can Dogs Eat Honeydew? Should I Give it to my Dog?